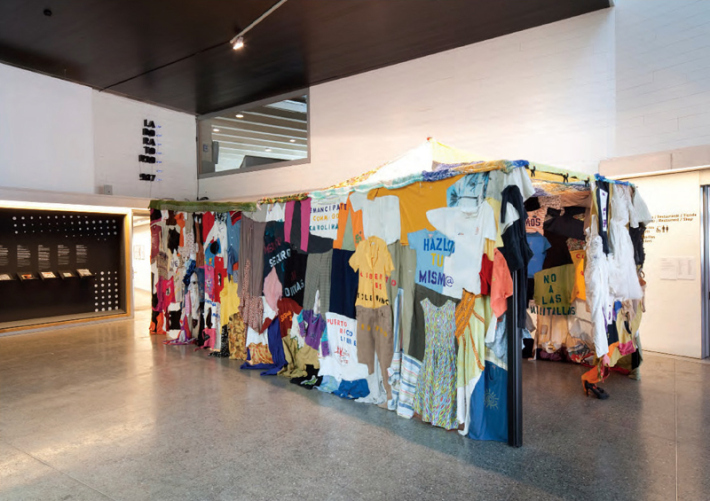 A tent constructed with clothes donated by inhabitants of Leon was built during a collective workshop. The tent was decorated with emancipation messages from the participants. Recicled clothes, embroidery, metal structure. 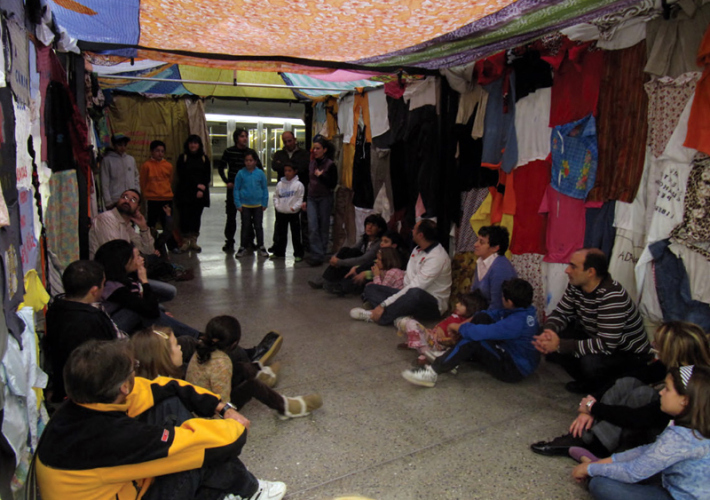 During the show the tent was activated with a parallel program of its own, with conferences and workshops. LEGAL CO-OWNERSHIP. 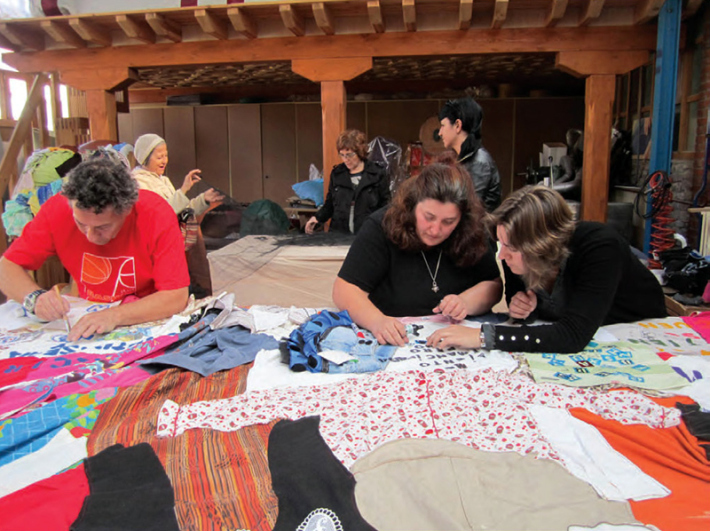 All the participants of the workshop and those who donated clothes are legal co-owners of the tent together with the museum. The co-owners can withdraw the tent from the museum during a week at a time, and use it for their personal events.